Which one better, Stainless steel Knife or Carbon Steel Knife? 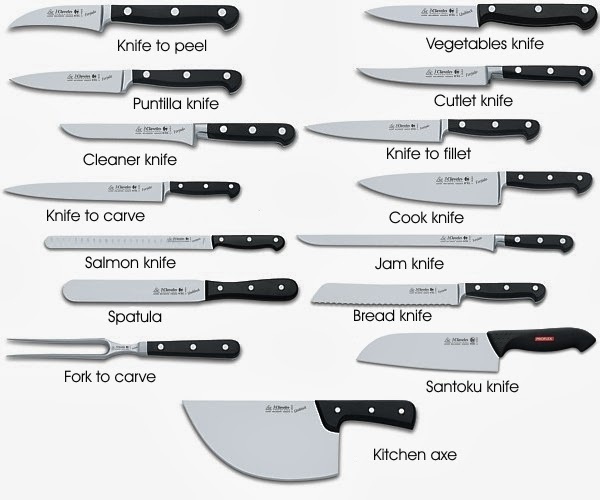 Home » Stainless Steel Knife » Which one better, Stainless steel Knife or Carbon Steel Knife? First I will explain the difference between the two steels. High carbon steel in its simple form goes back for centuries. In the original smelting process iron bonds together with a small amount of carbon. This is usually between .1% and 1.5%. The higher the carbon content the harder the steel can be made, but it also becomes more brittle. In history early blacksmiths would use a simple steel that had carbon up to about 1% for making good quality knives. Swords would often have up to about .7% carbon content. This simple alloy of iron and carbon would produce a good cutting edge that did not have to be sharpened often. If the tempering was done well it would have a good resilience against breaking. The problem is simple iron carbon alloys will rust if not kept clean and dry. This type of knife was common until about World War II. At this point new alloys were being discovered. An alloy has trace amounts of other elements, such as nickel, chrome, manganese, and molybdenum. These elements are usually added in trace percentages, and can dramatically change the properties of the steel. Two of the elements that were experimented with were chrome and nickel. Metallurgists discovered that when you add over 10% or more chrome that the steel was highly rust resistant. This became known as stainless steel. Chrome makes the steel much more difficult to cut and grind. Harder to forge or work in general. There were some obvious advantages of this steel. Great in a wet or corrosive environment as it did not fall apart. Very tough, but it did not hold an edge well. By adding carbon to the mix it would hold an edge fairly well but not as good as a straight high carbon steel. In working with the various testing alloys they found a steel which is now known as D2. This steel is at the lower end of being stainless as it has 11% chrome but has a very high carbon content of 1.5%. This steel is stain-resistant as it will discolor and rust eventually, but with the extremely high carbon content it holds an edge for a very long time. D2 is used in modern planner and veneer blades. This tool slices shavings from wood all day long and rarely has to be sharpened. The problem with this steel is that it is fairly brittle. It would make an excellent kitchen knife as long as it was not subject to bending or impact, but it would cut well and hold an edge as well as being stain-resistant. The stainless steel also stayed shiny. The obvious development from this was stainless steel kitchen knives. This allowed busy cooks to work with their knives and not have to constantly be rinsing them if they were working with acidic foods such as tomatoes. A regular high carbon knife would have to be washed and dried after every use to protect the keen cutting edge. Stainless could be washed at the end of preparing a meal, with no ill affects. So stainless steel caught on since it was so much easier to maintain in a kitchen household. Now we have many alloys of stainless steel. Good kitchen knives use a high quality high carbon stainless steel. Stainless Steel is more expensive to make than regular high carbon steel due to the added expense of the chrome element and the added difficulty of working the steel. You will find many stainless steel kitchen knives are very thin. This is done to keep the cost of mass manufacture down. If D2 was used the knives would have to be a bit thicker to prevent the chance of breaking in normal use. This adds to the expense along with the need for some care of the blade and the effort required to sharpen once it gets dull put it on the back burner for home kitchen use. Henkel Kitchen Knives use high quality stainless steel and have set an industry standard for quality. Proper tempering and heat treating gives the best edge and flexibility combination for the stainless steel. These knives also are securely constructed for a lifetime of use.